Music from the Sixties to the current Top 40 favorites. Music styles include Jazz, Pop, R&B, Motown, Funk, Soul, Rock, Swing Blues and New Country. On special occasions. The band will include a guest Female Vocalist and additional musicians. They will add trumpet, trombone and percussionist to create a larger-than-life 5-piece band. The band is perfectly suited to perform for both private and corporate functions, wedding receptions, class reunions, festivals, grand openings and concerts. The Supermatics can professionally “MC” your event and announcements and provide their own state-of-the-art sound and lighting equipment. 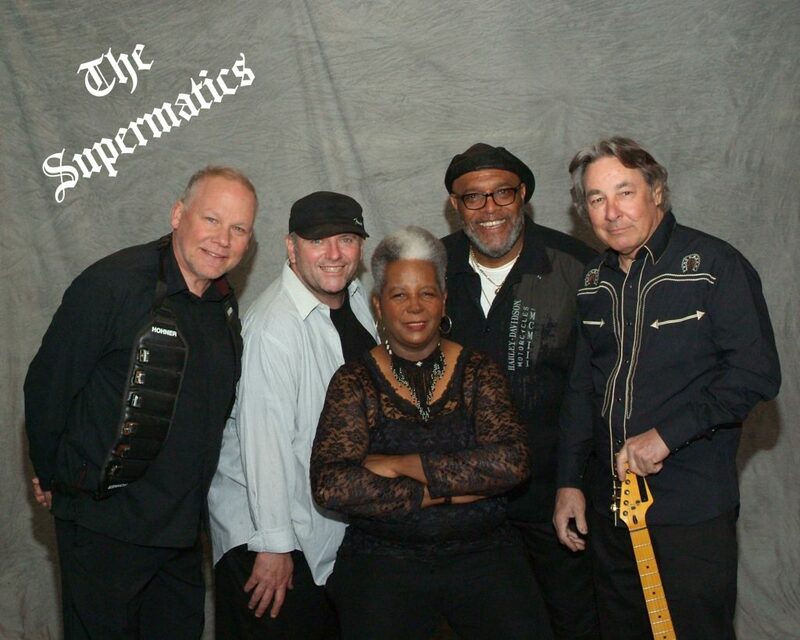 The Supermatics perform a variety of dance music, covers and originals. Enjoy adding JohnnyC’s special touch to make our music truly unique. Hearing is believing, so catch us sometime soon and get ready to party!